More and more retirees are switching to making precious metal IRA investments instead of simply investing in much less stable stocks, bonds, mutual funds, and other forms of equity, investment experts have noted. These same retirees have come to realize that they can enjoy greater control over retirement and gain immediate profit potential even in the midst of high inflation rates by putting at least $25,000 in a precious metal self directed IRA. 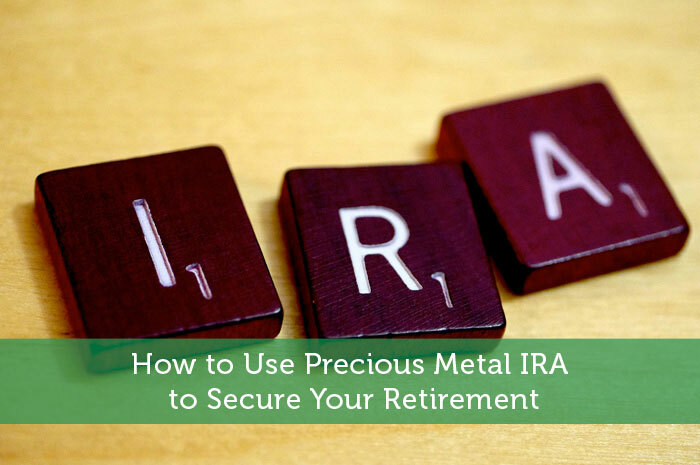 It has been discovered that among the key reasons for retirees aged 40-80 making the switch to this type of IRA is the fact that only they can make investment decisions regarding their assets, including how diverse their portfolios can be, even if it is a precious metals custodian who will be the one holding on to the investments. A more diversified portfolio is more secure since precious metals are negatively correlated to traditional investments. Owning physical assets that have an inherent value can help people weather the volatile markets and pass turbulent times. Portfolios with precious metals will enjoy much greater long-term returns. The prices of gold and silver have considerably dwindled recently as compared to the highs experienced in the seven-year precious metals bull market where gold price has increased almost 15% annually on average. However, market veterans and financial experts are claiming that this decline is not because of the end of the bull market but merely the beginning of its next phase. They are claiming that precious metals are also currently forming major chart bottoms but these could actually be the catalyst to the next level of the bull market. Some of these reasons given by investment banks and market strategists are the growing economy and the receding inflation rates. As compared to precious metal investments, owning stocks can be a little less secure. Since stockholders can only make money when their company increases in profit or improves in their business standing, they only have a few options available to them. Precious metal owners, on the other hand, can generate income when the demand for precious metals increases, but as it is with every other traded commodity, there is greater freedom and flexibility enjoyed by investors since all decisions will be made by them. Investing in precious metal IRAshas proven to be very advantageous for retirees aged 40-80 years as purported by many financial experts and other seasoned investors. Long-term benefits can also be substantial even with an initial investment of about $25,000. Moreover, holding onto precious metals that have an innate value already assures them of a degree of security upon their retirement. Although I don’t own any precious metals physically I do invest in them through a few different companies. These resource companies give me some exposure to precious metals without having to worry about owning the physical stuff. I have a little bit of money in a metals fund and a larger stake via mutual fund holdings. I’m hesitant to add to any of these positions due to the speculative nature of the metals market. Investing money in a precious metals IRA has the biggest advantage of keeping the value of the amount invested,also if another economic dropdown hits the US,gold and silver will have more value than paper money.